ATLANTA – Atlanta United announced on Tuesday the name and logo for the club’s new USL team, which will be abbreviated as ATL UTD 2. A press conference to introduce the technical staff and roster will be announced in the coming weeks. The ATL UTD 2 logo features the five vertical stripes found in the Atlanta United crest to reflect a direct relationship between the First Team, USL and Academy while honoring the club’s five pillars of character. The circle shape pays homage to the city of Atlanta’s seal. 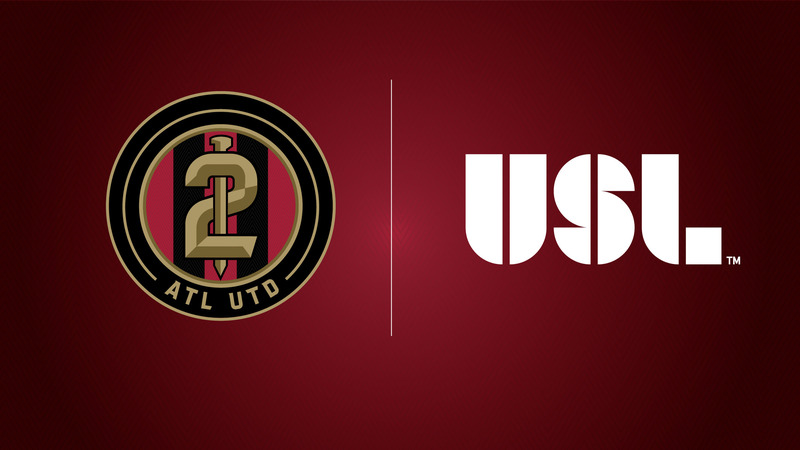 The dominant “2” sits at the center of the emblem, which differentiates it from the iconic, nested “A” found in the primary Atlanta United logo. The Golden Spike is linked to the “2”, tying the mark back to the city’s railroad history. The spike’s connection with the “2” shows ATL UTD 2 is not just a second team, it is rooted to the city and is a vital part of Atlanta United. ATL UTD 2 will play its home matches in Gwinnett County at Coolray Field, which opened in 2008 and will have a soccer capacity of 10,427.